Pfui: Mystery Guild Display Advertisement, October 5, 1958. 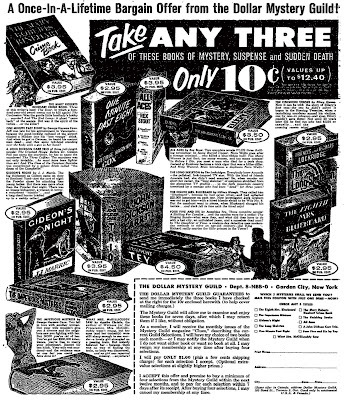 Mystery Guild Display Advertisement, October 5, 1958. Display advertisement, New York Times, October 5, 1958. "In Before I Die, you meet a man who died for a pork chop."